FOUR Parents and members of the School Development Committee at Mlamuli Secondary School in Lupane have been arrested for protesting against the presence of a non-Ndebele headmaster at the school. Parents shut down the school demanding the removal of the headmistress identified only as Bonyongwe who was deployed to the institution at the beginning of the year. At a meeting last Thursday, the parents gave Bonyongwe an ultimatum to leave the Matabeleland North school by Monday. The headmistress was given a similar deadline in January. Chief Mabhikwa, under whose jurisdiction the school falls, said four people had been arrested in connection with the disturbances. Matabeleland North Provincial Education Director Boithatelo Mnguni said she went to the school on Monday and they were working to educate community members to accept civil servants deployed by the Government. She could not immediately say whether or not the headmistress would be transferred. Villagers insist if teachers want to be welcome in the area, they must at least show interest in learning the local language. Matabeleland North acting police spokesperson Sergeant Namatirai Mashona referred questions to National police spokesperson Chief Superintendent Paul Nyathi who could not immediately comment. Chief Mabhikwa said he went to the school yesterday morning and there was an emergency meeting, but he did not attend. “All I noticed was that very few pupils could be seen going into the school in the morning. I’m yet to be briefed on what transpired and the resolutions made on the matter,” he said. In January this year, parents told the headmistress during a meeting at the school that she was not welcome. “She came last year and was on Thursday being introduced because that was the first parents’ meeting since December last year. She greeted people in English and parents beseeched her to speak in IsiNdebele since it was a parents general meeting where some wouldn’t understand English,” said a parent in January. Bonyongwe was transferred from George Silundika Secondary School in Nyamandlovu where she had been a teacher for three years. The deployment of non-Ndebele speaking teachers in Matabeleland has in recent years raised the ire of people from the region who blame it for contributing to low pass rates in schools in the region. 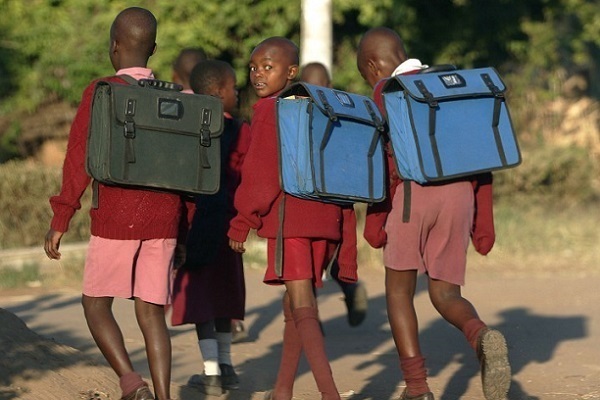 Last year, seven men were arrested for storming a school in Mangwe District demanding the removal of a headmistress over the issue. The group, comprising of villagers from Makuzeze area in Mangwe District and some members of the Mthwakazi Joint Youth Resolution, allegedly connived and confronted Makuzeze Primary School head Mrs Victoria Pasipanodya before ordering her to vacate the school as she belonged to the Shona tribe. Unbeknown to the group, Mrs Pasipanodya said she was only married to a Shona man, but she was of Ndebele origin and her maiden name was Nyathi. Pasipanodya, who has transferred to Kwite Primary School in the same district, said she left the school because of the threats. I problem inye amandebele amanengi awafundanga bawazi ukuza e Goli amatshona ayabekezela noma sekunzima kona manje yi half half kobulawayo isindebele siyatshabalala. Ayigubhe babuyele kwelakibo bo akusukunywe mahlabezulu satsha ngabo nxa!!! Kabayekibo mina bayanginyanyisa kanye lamapolisa akhona akugumbe kuyekibo sizondliswa amagudwane singawandli Phambili mnguni phansi ngeShona kwaMthwakazi phansi. Vele asidinge kwamuntu ongaye wesitwini ezikolweni kwelakithi bandla ngoba bayona owangale makabe ngowangale bo! Pambili lobuntu bethu! Singathathweli lesi yigaba sethu M' thwakazi! Vele asifuni isizwe sethu sitshabalale. If she cant utter a single word in Ndebele, udingani eMatabeleland! Kayigubhe. Omunye lomunye kibo. Chief Mabhikwa umuntu nxa evela e Plumtree ekhuluma isikhalanga angayenelisa ukufundisa isiNdebele na? Hatshi lowo kahluphi kaye ko Bulawayo, engasicitheli isintu lamasiko ethu. Yikho ubona abanye sebebingelela emfeni, kumbe emagcwabeni. Hatshi lokhu asikuvumi thina abeLupane. Sesizwile ngolimi olufuna ukubusa lendaweni engasoyabo, yikho izulu lingasani.